It must be a sign of something that once again preservation has made its way to the New York stage. Last December it was Bulldozer: The Ballad of Robert Moses, featuring the somewhat jarring sight of a singing and dancing Jane Jacobs. This August, New York theatergoers were treated to a new play, the subject of which was the conducting of an oral history with a 91-year old preservationist. Since gathering oral histories is a critical part of what the New York Preservation Archive Project does, it will come as no surprise that the play strikes a chord with the Archive Project’s mission. The play, entitled The Pattern of Pendarvis and penned by Dean Gray, is based on an actual oral history conducted by Will Fellows for his book: A Passion to Preserve: Gay Men as Keepers of Culture. Fellows interviewed Edgar Hellum, the surviving member of a gay couple who beginning in the 1930s began restoring a collection of derelict 19th century Cornish workers cottages in Mineral Point, Wisconsin. Their pioneering preservation Art Imitates Life A Review of The Pattern at Pendarvis efforts, originally derided by the local community, became so successful that ultimately the buildings became a historic site owned and operated by the Wisconsin Historical Society. The play beautifully tells the story of Edgar’s personal and preservation journey. It also confronts the reluctance of certain historic sites to include in their interpretation the stories of the gay preservationists who saved them. 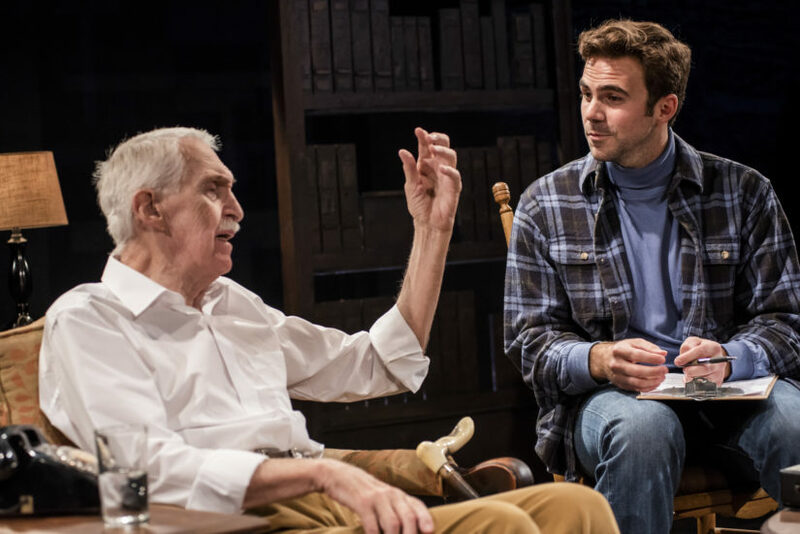 It is a testimony to the richness of the preservation story and the skill of the playwright and cast that a 70-minute, one-act play consisting solely of three men sitting and talking in a living room could be so engaging—and not just to the preservation historians in the audience. This play, though about a preservation effort in Wisconsin, is a reminder of the powerful narratives that have been captured through the oral histories conducted by the New York Preservation Archive Project. Is it too farfetched to imagine that someday there will be plays that have been inspired by some of the compelling narratives in the New York Preservation Archive Project’s oral history collection? Perhaps Margot Gayle and the Case of the Curious Clocktower based on the Margot Gayle oral history? Preservationists are so close to their own work that at times they fail to recognize the power of preservation narratives. The triumph of the underdog, the eleventh hour rescue, and the successfully completed “Hail Mary” pass are themes that have always captured the public imagination. They recur frequently enough in preservation’s history to keep a future Shakespeare at his or her computer for years. What better way to bring preservation stories to a wider audience? What better way to spread the preservation ethic? Is it possible that one day we might hear, “And the Tony Award for the best preservation play goes to…. ?” Hope, we must remember, springs eternal (which is yet another recurring preservation theme).